Cutting child tax credits, scrapping free school meals and axing Britain’s child poverty targets; the Tories are making life very difficult for children in Britain. Time and again we’ve heard Cameron and Osbourne trot out the line ‘we’re all in this together’ but it’s obvious that they’re not willing to offer a helping hand to anyone who isn’t old enough to vote for them. With life in Britain becoming harder and harder for children and young people, the role of Labour councils is more important than ever. Labour councils throughout the country are harnessing the power of local government to give young people the best possible start in life and bending over backwards to mitigate the worst effects of Tory cuts on children and their families. Here in Leeds, we’ve been able to keep every single childrens centre in the city open, we’ve dramatically reduced the number of young people not in education, employment or training and we’ve recently halved bus fares for 16-18 year olds. This ethos comes to life in our ambition to be a childfriendly city. 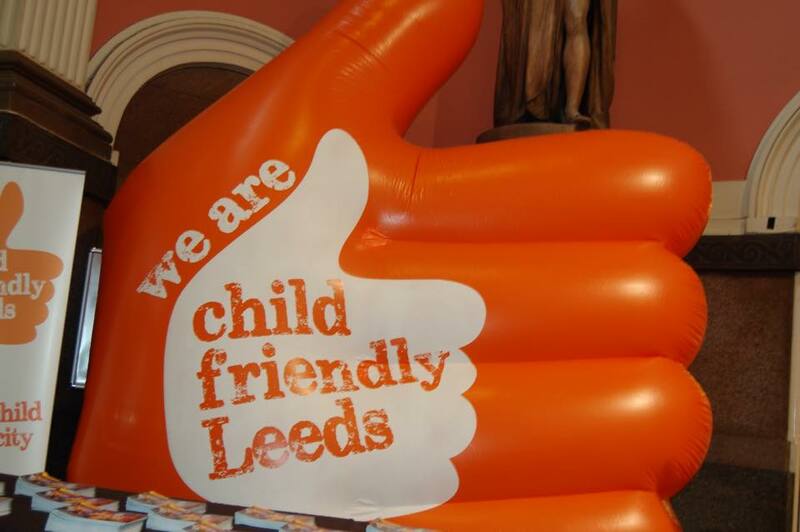 The Child Friendly Leeds campaign was set up in 2012. Since then the campaign has built strong links with local businesses, charities and schools, gained the support of 350 ambassadors across the city and we’re about to hold our third annual Child Friendly Leeds Awards to recognise those who help make Leeds a place where children are valued and supported. This ambition of a child friendly city might sound fluffy but theprinciple of putting children at the heart of the city speaks directly to our values as Labour councillors. We want to give everyone a good start in life and protect those who are too vulnerable to look after themselves. This is what Child Friendly Leeds is all about and it poses a stark political contrast with David Cameron’sattitude towards children and young people. I’m proud to live in a city that strives to be child friendly. If only we lived in a child friendly country too. The last Labour government set the ambitious target of abolishing child poverty by 2020. Sadly the Tories have turned their back on this promise but I’d love to see the Labour Party recapture that same level of ambition when it comes to making every child in Britain feel valued and supported. It’s a long time until the next general election; something those of us in localgovernment are all too aware of! Children in Britain will have to face another five Tory budgets before we have a shot at getting another Labour government. I hope the Labour Party will take inspiration from Leeds over the coming years so that we can enter the 2020 election with the radical aim of becoming a child friendly country.